Nemonymous [# 2, May 2002] ed. Des Lewis (Nemonymous, £5.50, 96pp, 8.5" x 6") A journal of parthogenetic fiction and late labelling. None of the authors are credited in this issue; their names will be revealed in issue #3. 90 · Four Minutes Thirty-Three Seconds · Anon. · vi; story has no contents beyond the title. 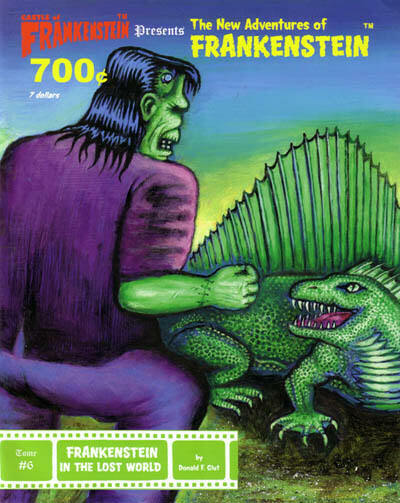 6 · Frankenstein in the Lost World [Frankenstein] · Donald F. Glut · n.; substantially revised and expanded from earlier versions published between 1971 and 1980 in Spain, the Netherlands and Germany. 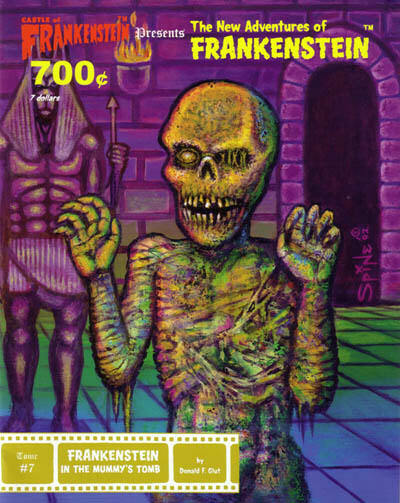 6 · Frankenstein in the Mummys Tomb [Frankenstein] · Donald F. Glut · n.; substantially revised and expanded from earlier versions published between 1971 and 1980 in Spain, the Netherlands and Germany. Oceans of the Mind [# 3, Spring 2002] (Trantor Publications, e-mail PDF) Nanotechnology. Oceans of the Mind [# 4, Summer 2002] (Trantor Publications, e-mail PDF) The Industrial Solar System. Oceans of the Mind [# 5, Fall 2002] (Trantor Publications, e-mail PDF) Science Fiction Mysteries. Oceans of the Mind [# 6, Winter 2002] (Trantor Publications, e-mail PDF) Canadian Writers.